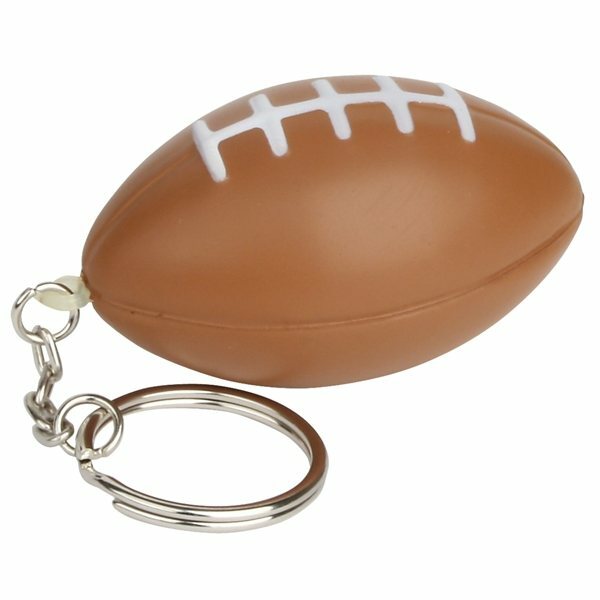 Football - Sports shape designed stress reliever key chain. It was better than we expected! Great product. Could not live without this! Great quality for the price!Pleasantly surprised. slick design, good 'feel'. Arrived one day early which was great None of this would have been possible without the excellent help gave to my order--please let them know they went above and beyond to make sure my last minute ordered made it in time for our event.